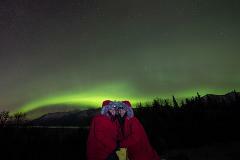 Embark on a journey to view and photograph the Aurora Borealis in the greater Anchorage area. 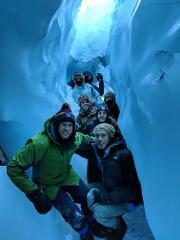 Explore magnificent blue glacier ice and ice caves on the Matanuska Glacier. Departs from Anchorage, Alaska. Ice climb the beautiful frozen waterfalls of the Anchorage area. Embark on a journey to view and photograph the Aurora Borealis in the greater Fairbanks area. 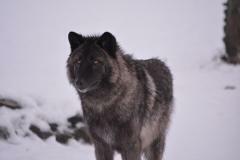 Drive the scenic Seward Highway to the Alaska Wildlife Conservation Center. View and photograph up close grizzly bears, black bears, moose, caribou, musk ox, wood bison, lynx, elk, bald eagles , and more!!! Explore the magnificent tidewater glaciers and wildlife of Prince William sound in an intimate setting. Round trip transportation from Anchorage with hotel pick up included. 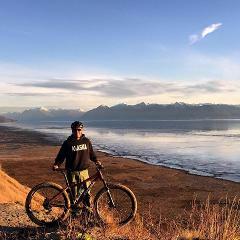 Join us for an amazing day riding the single track trials of Anchorage's Kincaid Park! Fabulous day tour and scenic cruise to Kenai Fjords National Park.